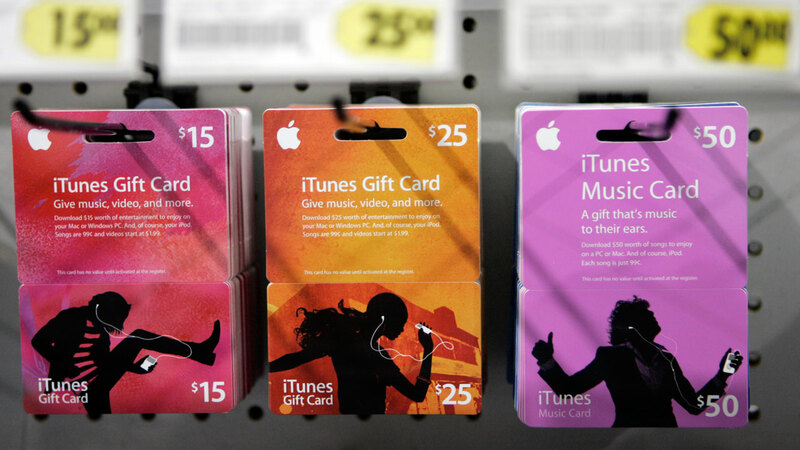 SAN FRANCISCO, CA -- Apple is warning consumers about scam artists who pressure their victims into transferring money by purchasing iTunes gift cards after the fraudsters spin a bogus story about unpaid bills or a relative who needs bailing out of jail. Authorities have previously warned about similar scams involving pre-paid debit cards. But in recent months, the IRS and the Federal Trade Commission have said criminals are using the popular Apple gift cards as an easy, and difficult-to-trace, method of transferring cash. In a typical scheme, a con artist calls a victim and claims to be a tax officer, bill collector or a lawyer representing a relative who's just been arrested. Victims are told to purchase several hundred dollars' worth of gift cards and then provide the 16-digit code from each card, usually over the phone. Fraudsters use the codes to redeem the value of the cards or even re-sell the numbers online. Apple posted a warning on its website Friday, advising that iTunes cards should only be used for online purchases of digital music, books or apps, and not for transferring money. The Cupertino, California, company also said it's giving retailers tips on helping potential victims, often people buying cards in large quantities.